When a teenage dancer was diagnosed with retinal dystrophy, a disease which left him almost completely blind, it seemed like he’d have to give up his passion. 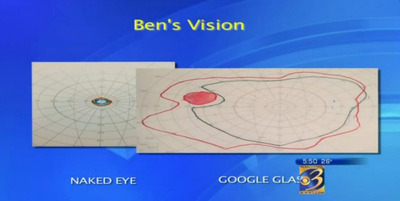 Until, that is, 13-year-old Ben Yonattan and his family discovered that he could use Google Glass to expand his vision. The disease had restricted his field of view to the size of a straw opening, but Glass’ tiny screen combined with its camera could give him a much larger range. Tonnatan set up a GoFundMe page to buy the $US1,500 device, but didn’t make enough to afford real frames, which cost extra. 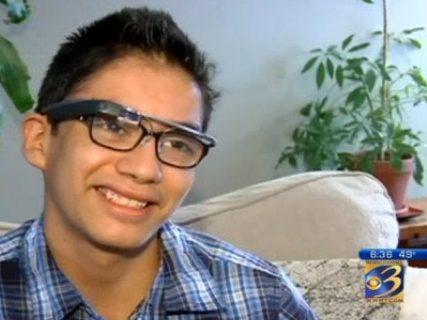 Instead, he attached the electronic device to his existing pair of glasses using a rubber band. After WWMT News Channel 3 first aired the story last week, Tonnatan started receiving support from people all over the world. He and his mum were overwhelmed by the amount of love and kindness they recieved after the show aired, but they felt even more stunned when they first heard from Google. Noticing how he had been using a rubber band, Google reached out to his family and offered to send him a free pair of frames. A few days later, the company called back and said that they had noticed some “wear and tear” on his Glass and wanted to send him a completely new set. Yonattan says he loves the reaction he’s gotten from people, and wants his story to show that it’s possible to overcome huge challenges. Yonattan’s biggest dream is that dance choreographers from the show “So You Think You Can Dance” will hear his story and get in touch. Regardless, he’s going to keep pursuing his passion. “Inside me there’s something saying, ‘Keep dancing. Keep dancing. Don’t stop. You love it,'” Yonattan says. 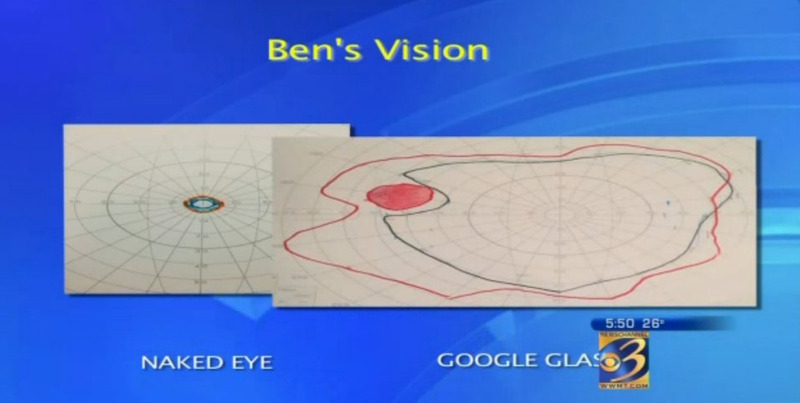 Of course, giving away a free pair of Glass is nothing to a billion-dollar company like Google. Supporting specialised use-cases for Glass also makes sense for Google because the product has recently been panned by developers, many of whom have given up on making apps for commercial use because of a lack of customers and device limitations. There’s plenty of reasons to be cynical about the future of Glass, but it’s hard not to be moved by Yonattan’s individual story. Watch the heart-warming video here.